The Synod will be seen as leading and providing networks through which lay leaders will be more highly equipped for leadership within their congregations, be more effective in their communities, and thrive in their ministries. Often lay leaders in some congregations are thrust into leadership and left alone to lead. Some do this well and others need help along the way. The Synod can provide the resources to make us stronger and better together. How? The resources may come from other congregations, or with the assistance of an “expert” in a certain field (evangelism, stewardship, governance, worship) where the Synod can provide a resource to a number of congregations at once to help reduce the overall expense to a single congregation. Relationship will be a congregation/synod partnership with the congregation tithing 10% of their increase to Mission Support to help grow the work of the synod. Quarterly workshops to re-train leaders in how to tell their story, moving from what we are doing to sharing the outcome of the ministry we do. 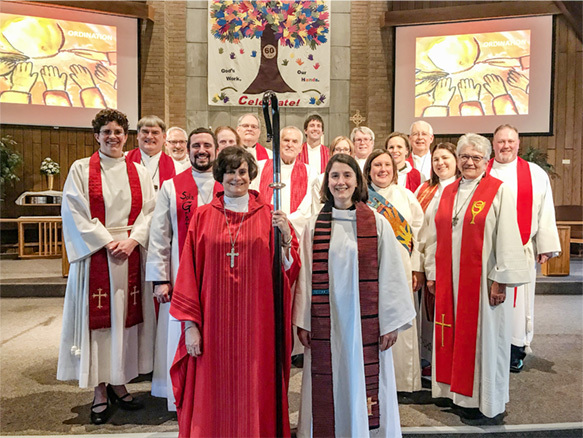 As the base goal is exceeded, money will be invested in additional congregations for Stewardship for All Seasons, more direct training for congregational presidents, and for more storytelling work amongst congregations. If funding allows, a $100,000 lay leader training endowment will be launched.